Congratulations to the boys and girls from St Michael’s House who received their First Holy Communion recently. 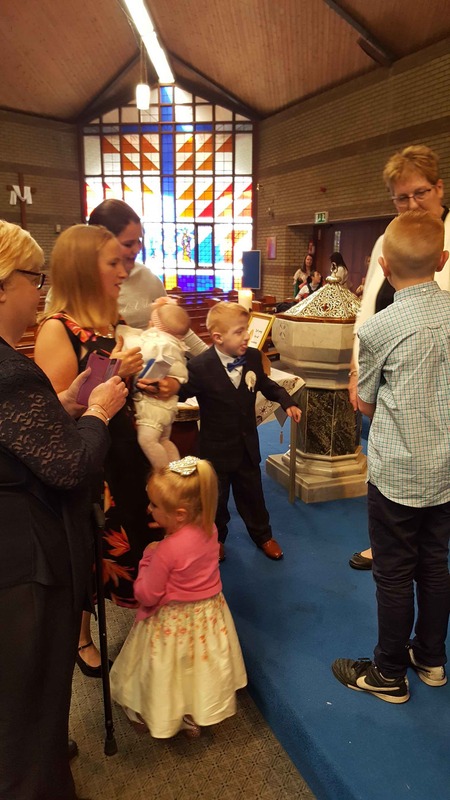 Kim, Katie, Dionne, Brody, Rocco, Kim, Christo and our own Morgan celebrated a special mass with their families and friends here in Ballygall. The boys from Sacred Heart school added to the occasion with their music. A special thank you to the staff and all associated with St. Michael’s House for their preparation. Most of you know Morgan and his family from the 10.30 Sunday Mass where they have been actively involved for many years. It was a joy to celebrate his big day and even bigger when he was with the 10.30 Mass last Sunday.